In this post we release Android GUI Starter Kit, a set that comes with several button elements as well as different interface options for Android GUI. This set was designed by Pavel Maček and released especially for Smashing Magazine and its readers. 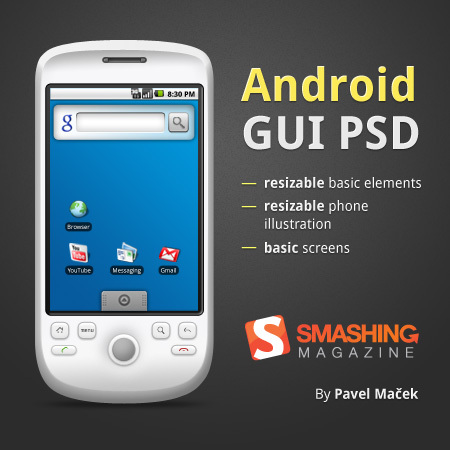 Android GUI PSD is based on elements of Android 1.5 GUI and was made to help open-source community with Android applications mock-ups. Most of the elements and phone illustration are made in vector path so they are easily resizable. For text Android Sans was used. 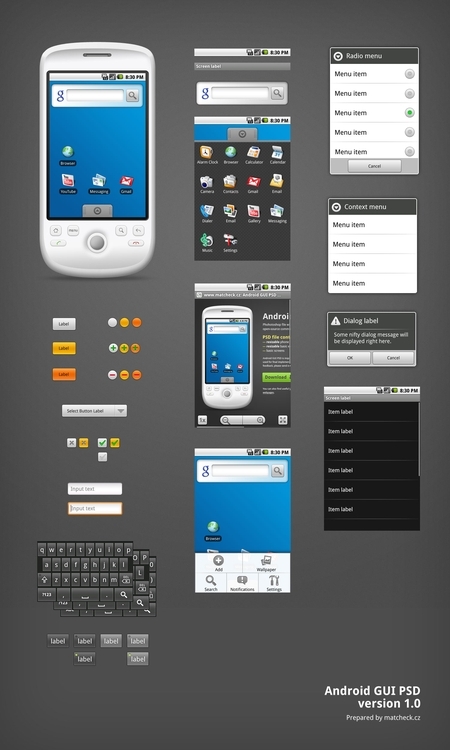 Android GUI PSD is inspired by idea of teehan+lax iPhone GUI PSD. Other elements will be released soon. The PSD file contains resizable phone illustration (vector paths), resizable basic elements (vector paths) and basic screens. Download the PSD set for free! Thank you very much, Pavel! We appreciate your efforts.